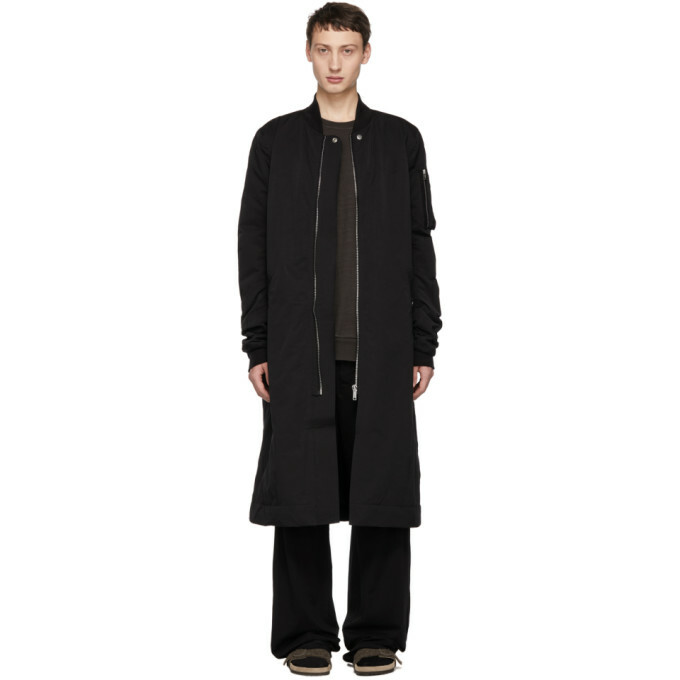 Long sleeve insulated woven nylon and cotton-blend coat in back. Rib knit stand collar and cuffs. Zip closure at front. Welt pockets at waist. Utility pocket at upper sleeve. Zippered pockets and logo patch at fully-lined interior. Silver-tone hardware. Tonal stitching.